Witches, ghosts, and goblins should be the scariest thing you and your tenants experience this Halloween. 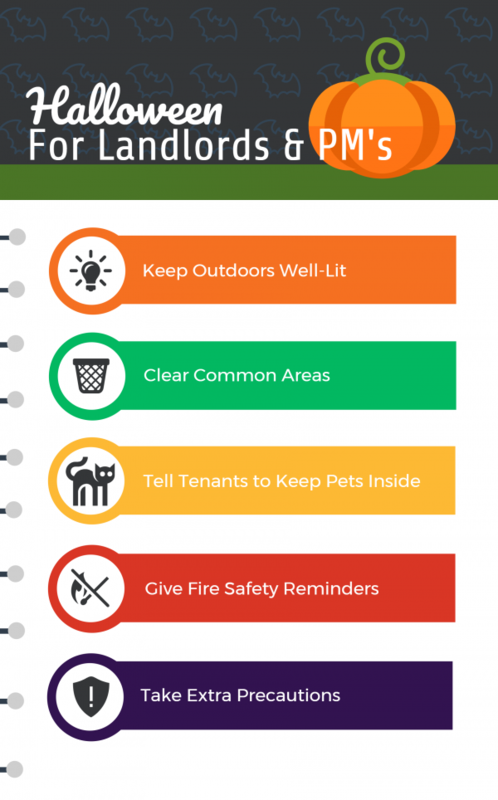 Chances are that at least some of your tenants are likely to hand out candy or take children on a trick-or-treating excursion this year, and unfortunately, you cannot always rely on your renters to put safety first. To ensure that your property is safe and well-prepared for the oncoming activities, implement these important safety precautions. Be wary of liabilities associated with dimly-lit areas on your property. Pathways and entrances pose hazards for children and adults roaming the property hoping to trick-or-treat. Furthermore, not only can minor and serious injuries occur due to the excess darkness, but criminal activity can heighten in the shroud of darkness. Keep your tenants and your property protected by ensuring there is adequate lighting. Sugar-crazed children in bulky costumes can spell disaster when combined with debris or tripping hazards. To prevent against an injury occurring on your property, ensure that all trash and maintenance equipment is properly contained and out of walkways. Be wary of organic matter causing a fall as well, trim bushes and plants to provide plenty of space on your walkway. Remember that excited young trick-or-treaters may use your lawn as a shortcut to that coveted Halloween candy; be sure to clear the lawn as well as fill any holes that could cause tripping. Even the most well-behaved pet can become anxious amid all the chaos and hubbub that Halloween night can bring. Have your tenants keep their pets indoors to avoid a spooked pup biting a guest or resident or simply running away. Moreover, remind your tenants that superstitious people can cause harm to animals they stumble across on Halloween night–this is a particular concern for cat owners. Let your tenants know that ensuring that their animals stay indoors on the 31st will protect residents and the pets themselves. The spooky decor is a staple of Halloween celebrations, and this often involves candelabras, jack-o’lanterns and other sources of open flame. While candlelight may set the mood, it can also set fire to your building. Regardless of your open flame policy, have your maintenance team verify that all smoke alarms are in working order before the festivities occur. 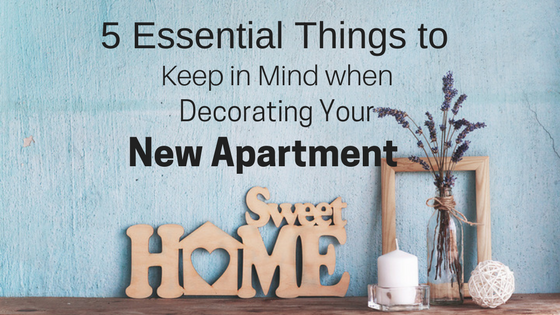 If your lease agreement prohibits candle burning, take a moment to remind your residents of this rule. Suggest (or even provide) inexpensive flameless alternatives to guarantee happy residents and a safe Halloween. Even with attention placed on safety precautions, accidents can still occur. Now is an excellent time to remind your renters about the importance of renters insurance, and its respective low cost. 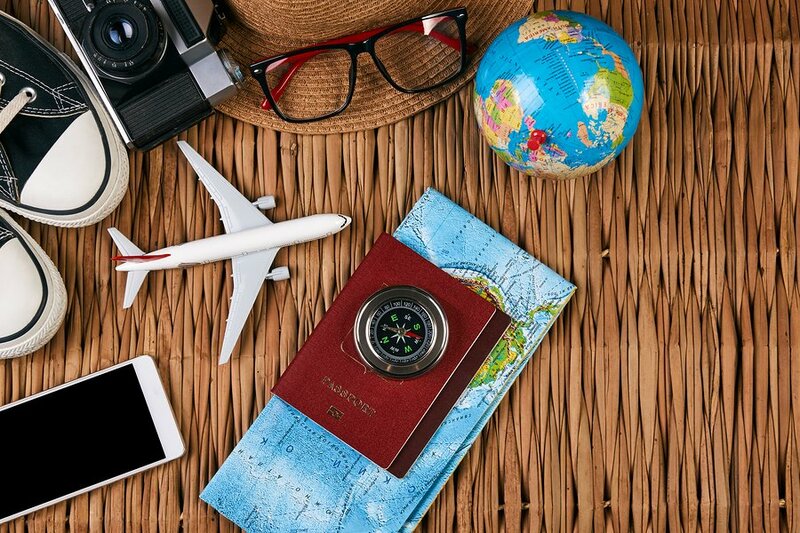 This small expense could be your tenants’ saving grace if vandalism to their personal items occurs at the property if an uninvited guest steals something during their Halloween party, or their frightened dog bites a trick-or-treater. Implementing these simple precautions could be the thing that prevents against real blood being a part of your residents’ Halloween. 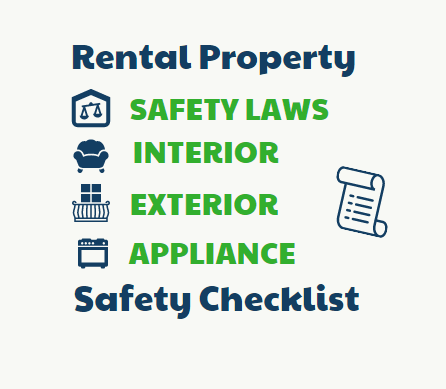 Taking the extra mile to ensure your tenants (and their visitor’s) safety will prevent against a liability and, once again, remind your renters that you always have their needs in mind.